While the farmers, gathered at Congress party’s Kisan Samman rally in the capital, expressed satisfaction over the turn of events that led Modi government to withdraw the land ordinance, the immediate issues that are bothering them are related to the stress in the agriculture sector of the country. “In the last five months, the cost of paddy has gone down from Rs 3,200 to Rs 1,200 per quintal. We are unhappy. I suffer a loss of 15 to 20,000 with every crop and it is difficult to live like this,” said Omi Lal, who travelled from Kurukshetra with hundreds of farmers to take part in the rally. He had also attended Congress party’s massive kisan rally on April 19 this year. Most of the farmers talked about the rising input costs. “The cost of urea, pesticides needs to be reduced. When the farmer suffers, the farm labourers also suffer. If farming becomes too expensive for us, what work will we do?” asked Harnam Singh, a farmer from Jhajjar in Haryana. Farmers from Rajasthan complained about lack of water to irrigate their fields. “The condition of the Indira Gandhi canal is so bad that we get only 25 per cent of the canal’s water. This also, only during certain periods in the year,” said Yogender Acharya from Jaisalmer. Others pointed to the sale of fake pesticides in the markets leading to heavy losses to the farmers. “Fake pesticides are selling unchecked. 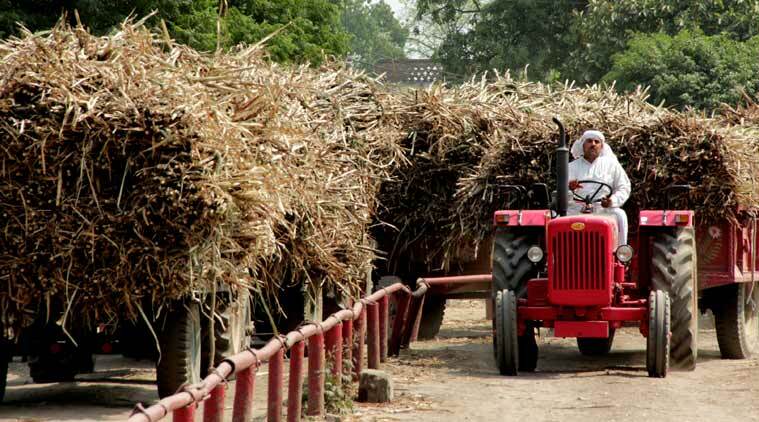 Its effect is visible very late when the crop gets infected around harvest season and by then we cannot do much to save our crops,” said Murari Lal, sarpanch of Raipur panchayat, up.